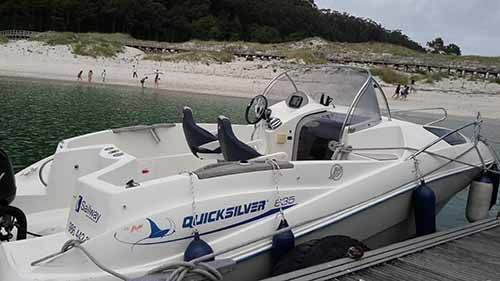 It is a fast powerboat ideal to enjoy with your partner, family or friends the coast of Vigo and the impressive enclave of the Cíes Islands. 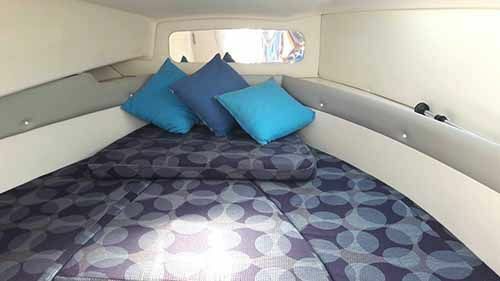 It has a solarium and a cabin for two people that allows you to nap on board or even stay overnight if you wish. 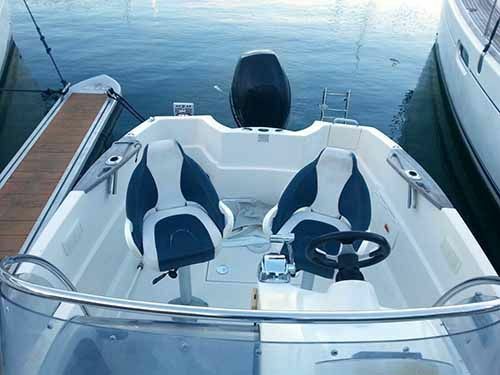 It has a central console with a handrail and rotating seats that makes navigation very comfortable. 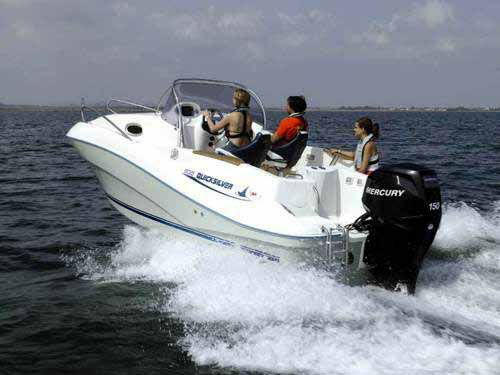 IYou will like it!